Ive been a fan of 'whats in my make-up bag' posts for some time now, never passing up on an opportunity to delve into somebody else's make up - satisfying both my nosiness and my beauty addiction all at once. I've read all of the blogs and I've watched all of the youtube videos, and so it dawned on me that I have never actually shared my own. 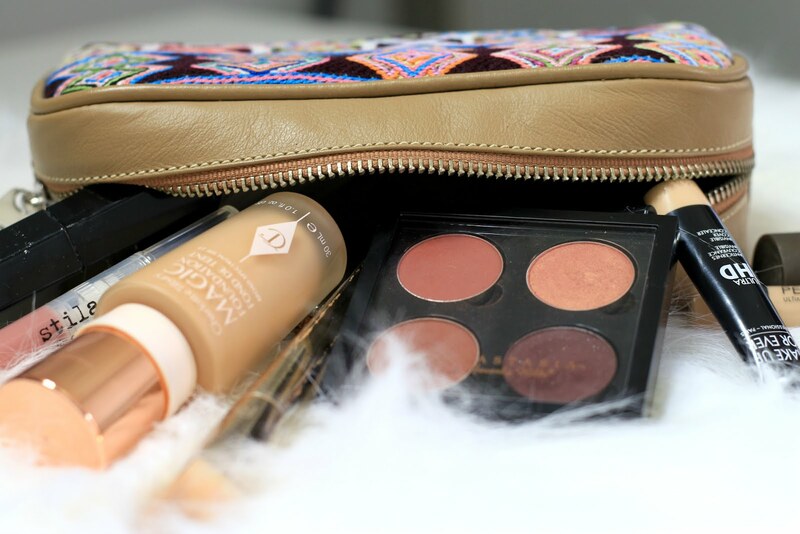 So if you fancy a sneak peak into the bag full of products that I reach for everyday to a) Look less old and b) Look less jet lagged then look no further. Firstly, lets talk about that bag. 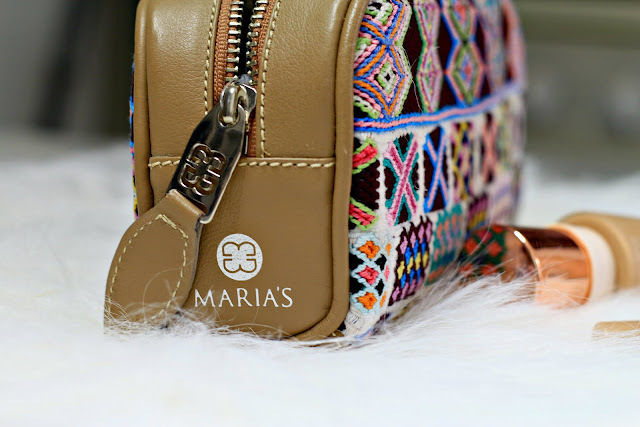 This artisan crafted beauty is by Ethical fashion brand, Maria's Bag Each bag is lovingly hand crafted in Guatemala, by local women who are employed and empowered, crafting beautiful bags that are sold around the world. Each bag is intricately embroidered and one of a kind - so you can own a bag as individual as you are. 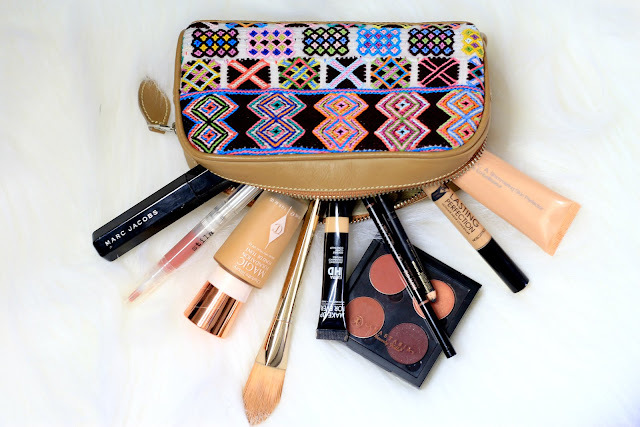 The entire collection can be viewed here, which includes clutches, totes and bucket bags, with make-up bags like mine starting at £75. 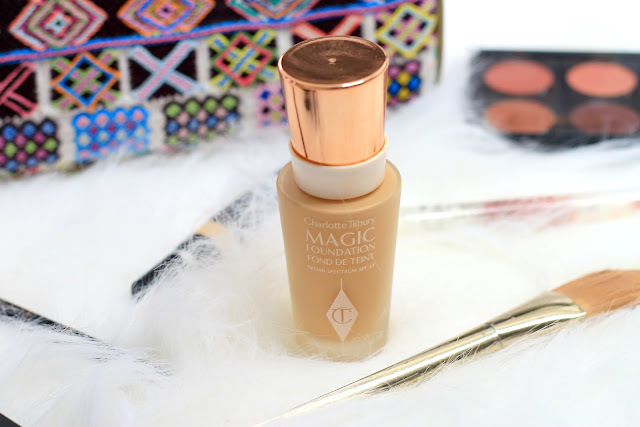 Charlotte Tilbury Magic Foundation - You may be wondering why this is included, since I posted a less than complimentary review on it here. Im not sure whether its my skin thats changed, or perhaps its the warmer weather but I'm now addicted to applying a liberal layer of this daily. 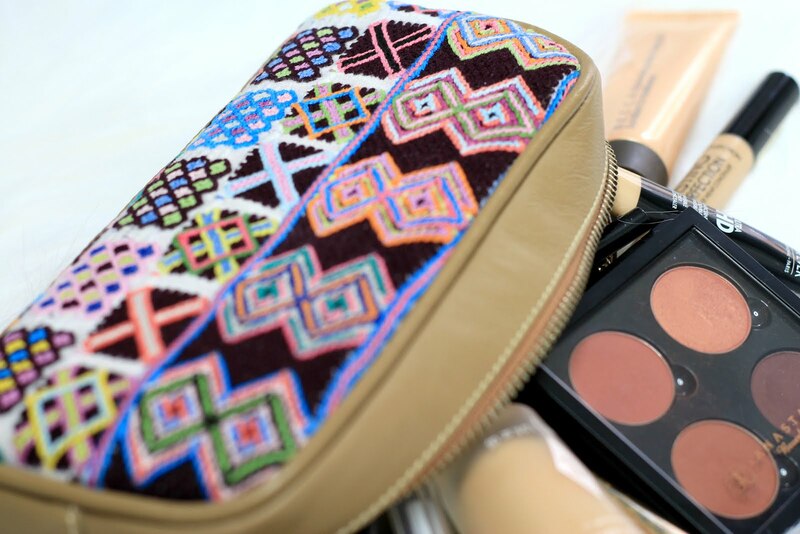 Sometimes make-up deserves a second chance. Real Techniques Bold Metals Foundation Brush - I hated this when I first bought it, and I still think that its incredibly over priced for a drug store make-up brush. That said, it looks pretty (I'm shallow) and it does apply foundation rather quickly and smoothly so I've found myself reaching for it most days recently. Lasting Perfection Concealer by Collection - Make-up snobs turn away now. 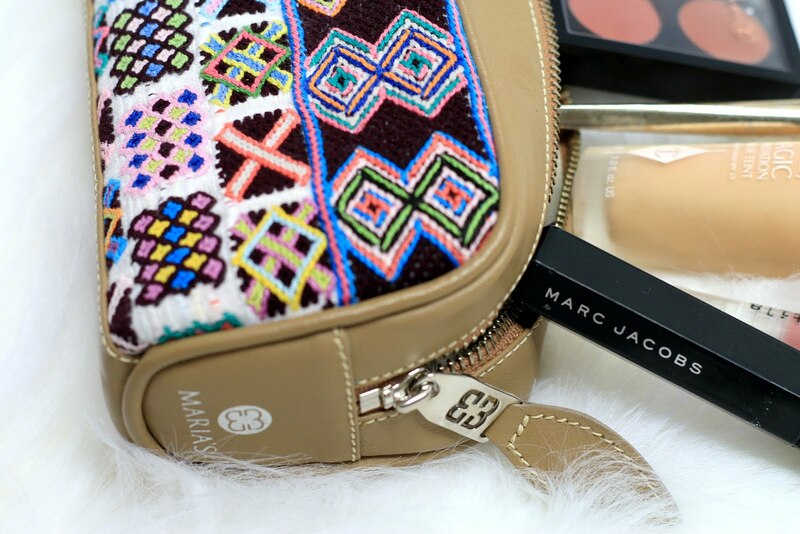 This £3.99 concealer has been my Holy Grail for years, and it shows no signs of stopping. Stays in place all day, covers pesky blemishes and somehow mimics actual skin. I love this stuff. 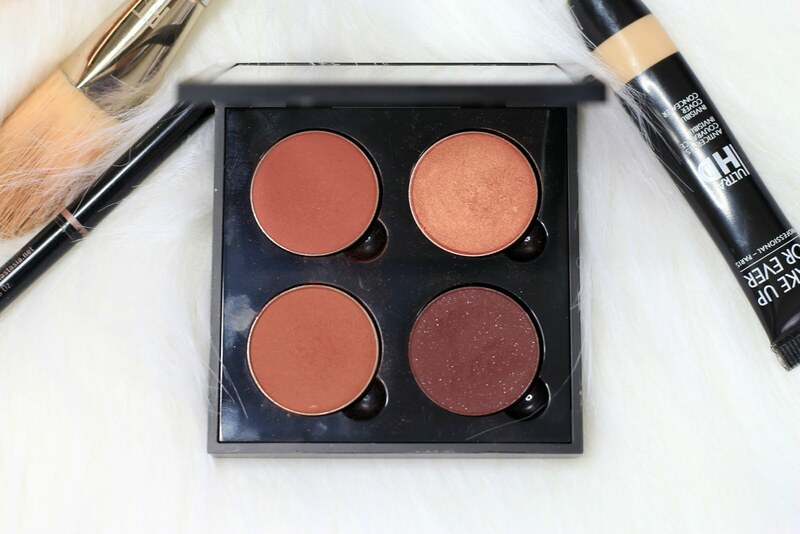 MUF Ultra HD Concealer - Because what make-up bag isn't complete without two concealers? This one is specifically for covering up blue-ness around my eyes and basically knackered-ness/old-ness on my entire face. Becca Shimmering Skin Perfecter in Opal - I like to either mix this in with my moisturiser or my foundation to add more of a glow, or I like to apply it directly to the high points of the face to highlight. It makes me feel a little bit JLO and for that I owe it my life. The effect is wow. This is travel sized too, and its legitimately lasted me forever. Anastasia Brow Wiz - Not too much to say about this really, its a micro-fine-teeny-tiny eyebrow pencil that, well, makes your eyebrows darker. It creates some very realistic looking fake hairs and turns my rather sparse blonde brows into something a little more luscious. Still Lipglaze in Spice - An oldie but a Goodie. This, paired with a lipliner makes people ask if I've had lip injections. Desired effect achieved. Mark Jacobs Velvet Noir Mascara - Beautiful product, beautiful packaging. Might be the only mascara that doesn't turn my eyeballs into a watery hayfevery mess at the moment. Really impressive. 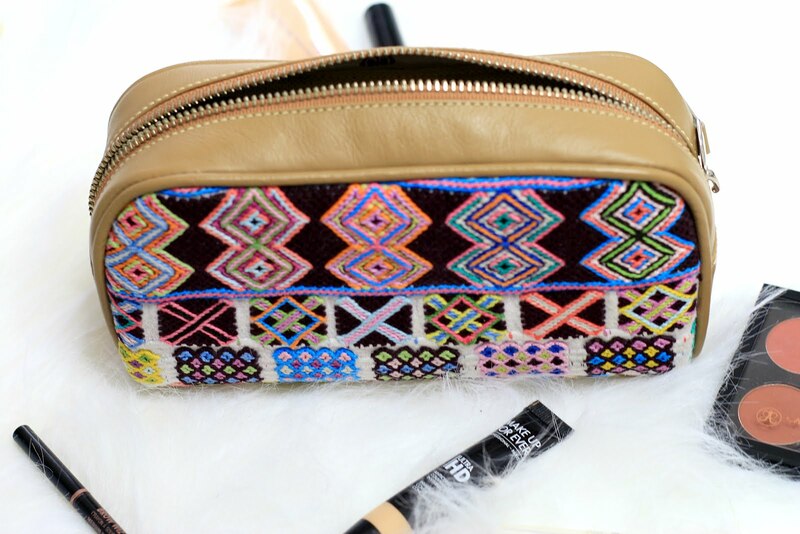 love your makeup bag! How great is that CT magic foundation...I need to try it! Thank you! Oh its so good, it really is! I wasn't sure at first but now its a long term love! 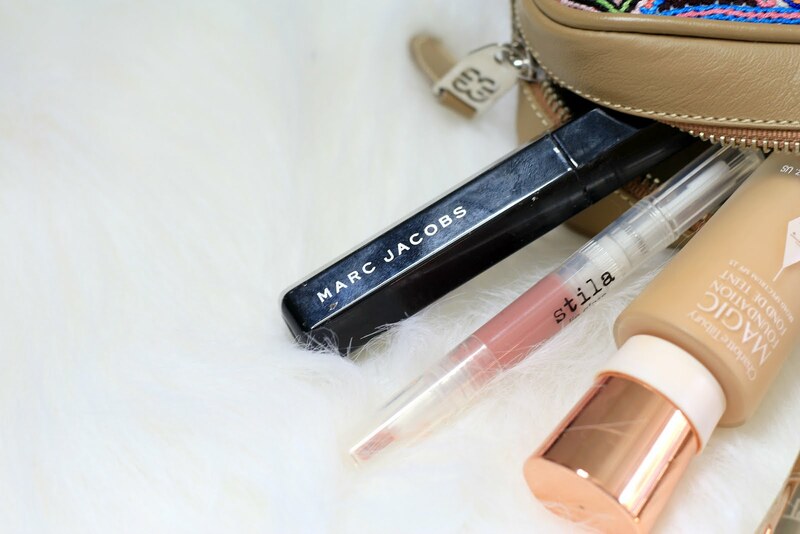 lately I have ceased to use so many cosmetics. and the condition of my skin has improved!